Random Play: "The Merchant of Venice." Last week, there was a local news story here in New York about a subway train driver who was caught on video sending text messages while operating the train. People on the street who were interviewed about the driver’s actions were uniformly appalled, and agreed that what he had done was unprofessional and dangerous. However, a majority of those same people expressed dismay at the notion that the driver would lose his job over it. Despite the fact that this person had broken a clearly articulated workplace rule that is designed to keep five million daily riders from being injured or killed (as riders have been in similar events elsewhere), New Yorkers felt sorry for him. They felt he deserved another chance. They wanted to believe the best of him. It’s this ability to recognize a moral or ethical failing and yet simultaneously excuse or minimize it that I find myself pondering as the new Broadway production of Shakespeare’s The Merchant of Venice, starring Al Pacino, opens to rave reviews and packed houses. First things first: I freely admit that I have not seen the current production, either in its original incarnation in Central Park’s Delacorte Theatre or in its new home at the Broadhurst on 44th Street. I am perfectly willing to concede that Pacino’s portrayal of Shylock is “devastating” and that he and Lily Rabe, as Portia, give “the performances of the season.” Both roles are among the juiciest in Shakespeare’s canon, and the text contains some of the most quotable and profound dialogue he ever wrote, including “The quality of mercy is not strain’d” and “The villainy you teach me, I shall execute.” However, there’s one big problem: the play’s comedic, dramatic, and romantic payoffs all hinge on our acceptance of anti-semitism. Actors, directors, and audiences tie themselves in knots trying to deny or justify this. This is possibly a by-product of what George Bernard Shaw called “Bardolatry,” the belief that Shakespeare is not only a great dramatist, but the great dramatist—a regard for the Bard that goes beyond respect and admiration into reverence. Shaw’s skepticism may have been exacerbated by professional jealousy, but a little skepticism never hurt anyone, and if ever a play deserved to be regarded skeptically, Merchant would be it. For those who have never read or seen it (or did but can’t remember what they read or saw), here’s the play in a nutshell: a rich merchant (Antonio) lends a friend (Bassanio) some money so he can afford to court a beautiful, intelligent heiress (Portia). The merchant doesn’t have enough cash on hand, so he has to borrow it from someone who does (Shylock). Considering that Shylock has been insulted and—get this—spat on by Antonio in the past, it’s big of him even to agree to deal with the guy, but it’s worth his while as a business transaction. As collateral for the deal, Shylock insists on a pound of Antonio’s flesh, “nearest the merchant’s heart.” WTF? Antonio thinks, but whatever, his ships are, literally, about to come in, with enough merchandise to pay back the loan. Whoops! The ships are wrecked at sea and now Shylock’s demanding payment. Antonio signed a contract; it seems he’s screwed, as he can’t part with that pound of flesh without, you know, dying. But here comes Portia (in disguise, of course—women aren’t allowed in a courtroom), making a brilliant legal argument that (SPOILER!) nullifies the contract and saves Antonio’s life. She also makes sure that Shylock loses all his property and is forced to convert to Christianity. Oh, yeah, that’s right—Shylock’s a Jew. Well, that explains everything! Being Christian already, those who now have the power to drive Shylock into destitution and even have him executed show mercy, sparing his life and leaving him a portion of his wealth. The rest will be split between Antonio, the man who (I’ll repeat) once spat on him, and Shylock’s daughter, Jessica, who has recently embraced Christianity herself upon eloping with a Gentile. Now I’ll grant you that Shakespeare makes this plot a lot more complex than other playwrights of his time might have done. Just a few years earlier, Christopher Marlowe had written The Jew of Malta, in which the title character schemes against the island’s ruling family, poisons the residents of a convent (including his own daughter), and orchestrates the sack of Malta itself. Both plays acknowledge that Jews are the victims of cruel persecution, and that the goyim around them may be (to paraphrase Saint Paul) reaping what they have sown. Still, the villains’ evil deeds cannot be excused, no matter how badly they’ve been treated. Sure, I get it, but here’s the kicker: while everyone else in Venice gets to learn a lesson from these awful events and possibly be nicer in the future, Shylock is the only character who is forced to change his identity. Why? Because only as a Christian can he be expected to comprehend “the quality of mercy.” Apparently, Judaism doesn’t allow for personal growth. Shakespeare himself seems ambivalent about whether Shylock is a representative of his “people” or a character who just “happens” to be Jewish (as evidenced by the Act III monologue that includes “Hath not a Jew eyes? Hath not a Jew hands, organs, dimensions, senses, affections, passions?”). This ambivalence might be less offensive if the playwright had visited similar consequences upon any of the other major characters, but no—Bassanio gets Portia, and Antonio gets his ships back (seems they didn’t really sink—psych!). Shylock is left childless, living on charity, and stripped of his faith. Shakespeare’s treatment of his Jewish baddie is clearly more nuanced than Marlowe’s, and falls short of the racial element that characterized the anti-semitism of the Third Reich. It’s anti-semitic all the same. One can argue that Shakespeare was only reflecting the values of his time; that’s true, but we need not endorse those values simply because Shakespeare didn’t know any better. 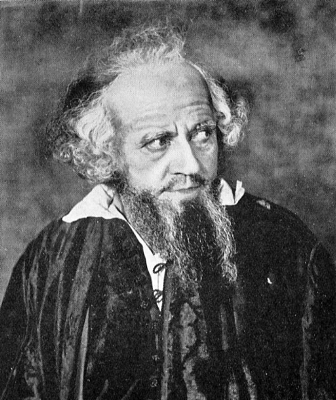 One can propose that the play be performed in subversive fashion, emphasizing the hypocrisy of the Venetians and suggesting Shylock’s ultimate defiance. The problem is that Shakespeare has already done that. He knows that Antonio’s superior attitude and Bassanio’s irresponsibility are vices that need to be corrected. But they will have the luxury of doing so voluntarily, with the support of their rich, Christian friends and families. The play ends with a comic scene, prologue to a double wedding. To subvert the text far enough to undo this resolution, one would have to eschew dramatic convention altogether and venture into performance art. Unlike Shaw, I am not a Shakespeare basher—far from it. I have taught his works in high school English classes, assigned scenes from his oeuvre to acting students, and directed productions of two of his plays. I still remember the excitement I felt when I saw my first live Shakespeare—Much Ado About Nothing, starring Derek Jacobi—and how my universe expanded when I read Romeo and Juliet for the first time. But not even a literary genius should get a free pass on prejudice. It’s perfectly possible to respect, esteem, and enjoy most of his works (in which racism and sexism are merely incidental, not central, to the conflict) while condemning Merchant. And I have a pretty impressive ally in this argument—no less a luminary than Harold Bloom, the author of such seminal works of criticism as The Anxiety of Influence and Shakespeare: The Invention of the Human. (He’s also the guy who gave me an A- on my paper on All’s Well that Ends Well. It was the highest grade he gave. Yeah, I’m good.) Bloom asserts that two-thirds of Shakespeare’s (thirty-eight) plays “are masterpieces,” which is really saying something. In short, no one’s a bigger fan. The students who take his “Histories and Comedies” seminar read Merchant, which he calls “grand” and “equivocal”; they also hear him—a man whose first language was Yiddish—proclaim the play “unperformable.” That’s not a call for censorship; it’s simply an acknowledgment that even the dude who might be the greatest writer of all time was a product of his own time. If you’re still on the fence about Merchant, let me ask you this: how would you feel if instead of a fellow wearing a beard and a yarmulke, the play’s villain wore a conical straw hat and a pigtail? How would you react if the line read, “Hath not a Mexican eyes?” What if at the end he were forced to renounce Islam? Could you sit in a theater for three hours watching this man be vilified and, ultimately, humiliated? By all means, let’s study The Merchant of Venice in the context of Shakespeare’s comedies, or Elizabethan drama as a whole, or English-language poetry. Then let’s fire that text-messaging train conductor and put on a production of Coriolanus instead.